When you're baking something in an oven, timing can be crucial. Delicious cookies can turn into inedible charred disks if left in the oven for too long. 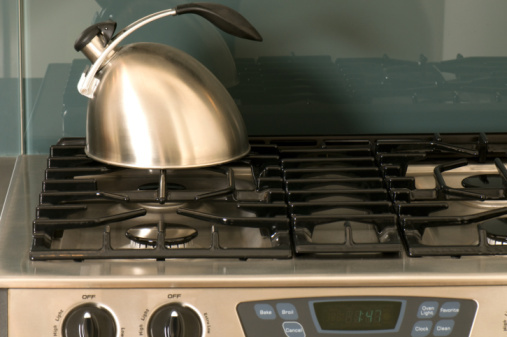 Instead of relying on your memory, sense of smell or a visit from the fire department to know when to remove the food from the oven, you might want to use a timer to remind you. For example, Kenmore makes an oven with a touch-sensitive control panel with a timer that you can easily set. Press the "Timer" button on the control panel. Press the number pad to set the time you want. for example, press "5" to set the timer to go off in five minutes. Press the "Start" button. The timer will then begin a count down. When time runs out, the oven will sound three long beeps every five seconds until you press the "Timer" button. Press the "Timer" button before time has run out if you want to cancel the timer. The display will return to the time of day.